If you only read the headlines, which in general focus on the bad rather than the good news because it is deemed “more newsworthy”, then you would think that the world is going to hell in a handbasket. “Given the rising risk of nuclear war with North Korea, the paralysis in Congress, warfare in Yemen and Syria, atrocities in Myanmar and a president who may be going cuckoo, you might think 2017 was the worst year ever,” says Nicholas Kristof in his New York Times opinion piece on “Why 2017 Was the Best Year in Human History” (6 January 2018). The website Our World in Data shows the hard facts behind Kristof’s assertions: “Every day, the number of people around the world living in extreme poverty (less than about $2 a day) goes down by 217,000. 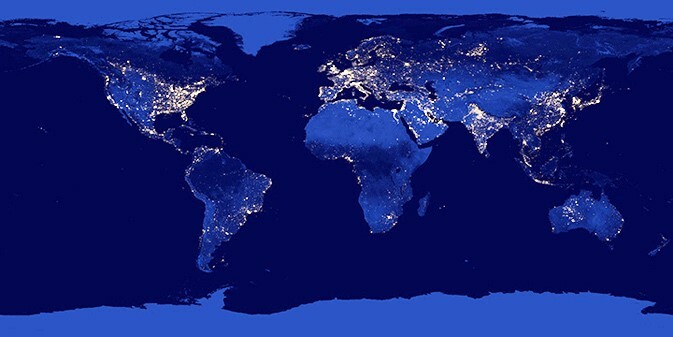 Every day, 325,000 more people gain access to electricity. And 300,000 more gain access to clean drinking water,” he says. Article submitted by Danielle Carpenter.